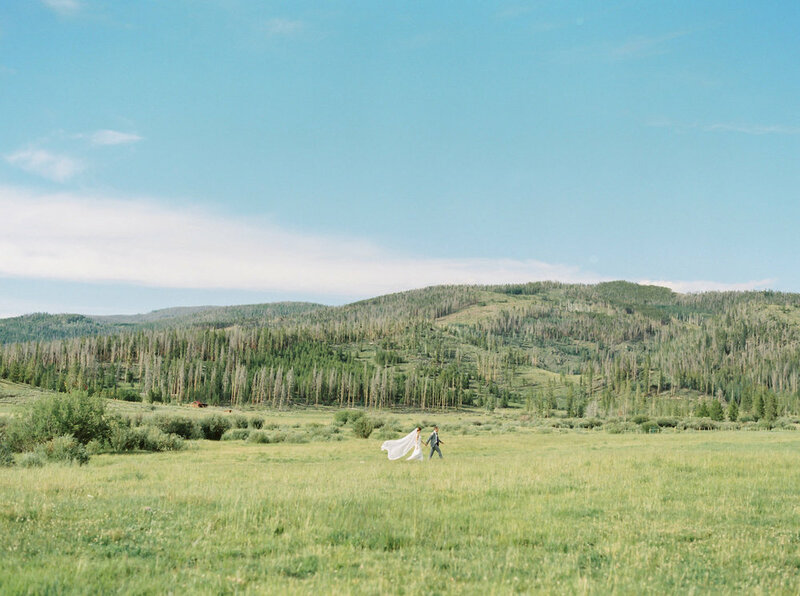 After all the time they'd spent in Colorado as a couple, Kelsey and Marko knew they wanted to showcase the natural beauty and stunning views of the area. 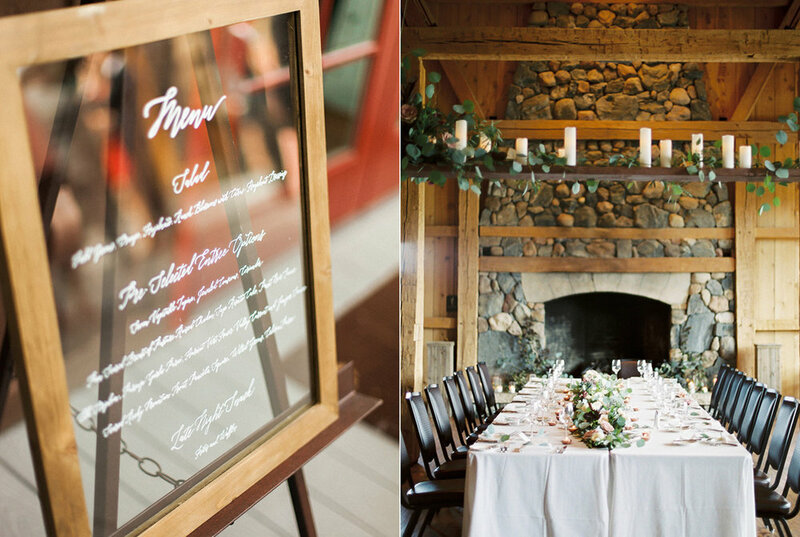 Devil's Thumb Ranch proved to be the ideal mountain venue to share with their guests. 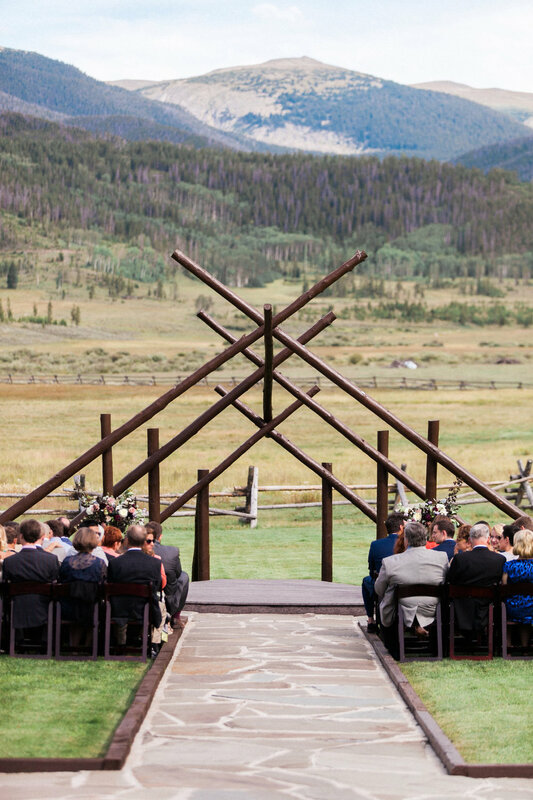 They chose to have an outdoor ceremony and to highlight the area's specialities, including elk and trout on the menu and local blooms for the flowers. 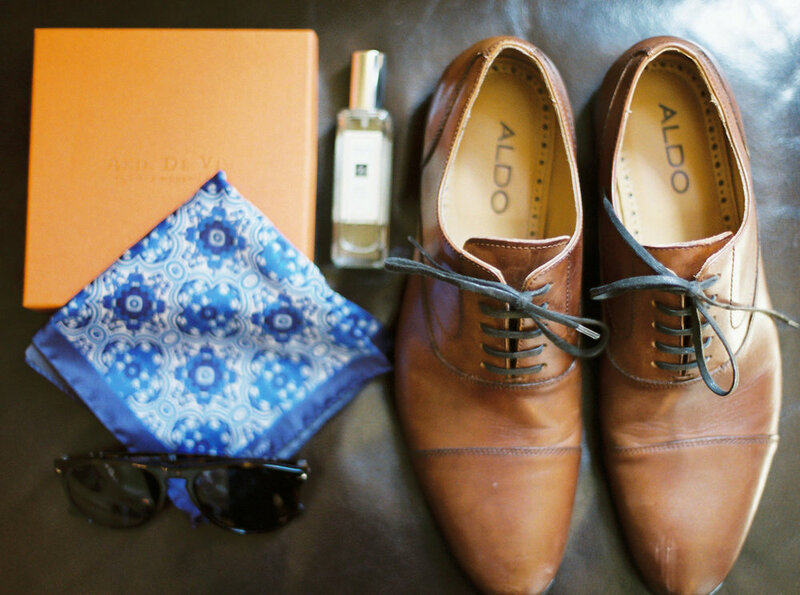 The couple also drew inspiration from Marko's European background to balance out the more rustic elements — this included Portuguese azulejos tiles, Belgian frites and waffles as their late-night snack, and custom groomsmen pocket squares featuring their initials and an azulejo design (created by a designer from London). Emma Lea Floral designed an elevated floral installation above the head table that highlighted the scale of the stone fireplace. 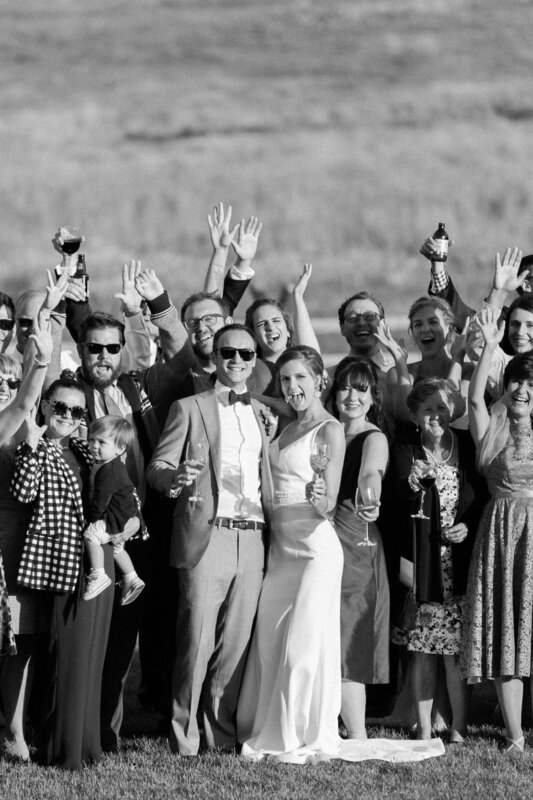 Despite the international scope, the celebration was ultimately an intimate gathering of close friends and family. 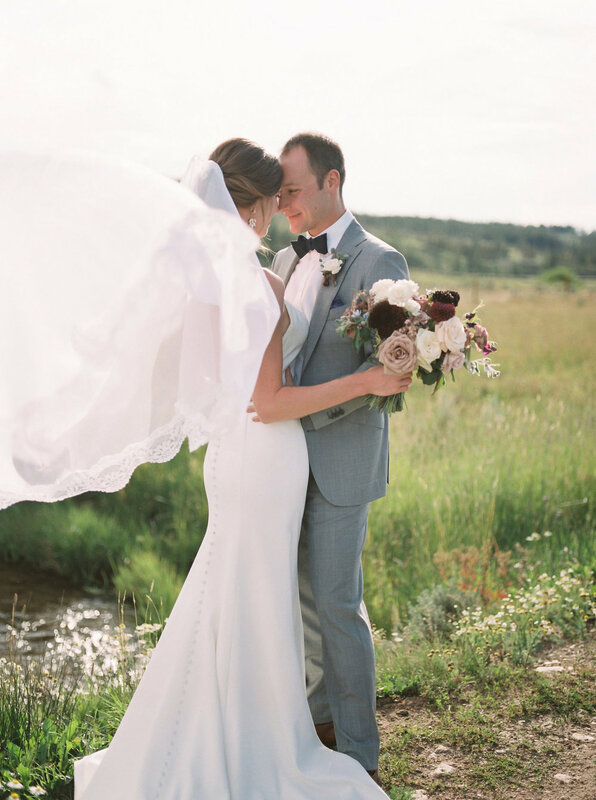 Kelsey wore an elegant crepe dress paired with a lace veil that her mother made by hand using lace from her own dress. 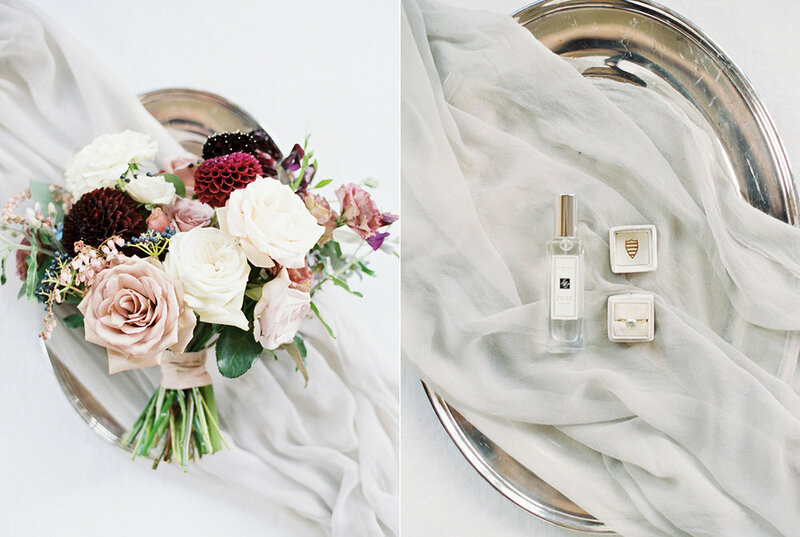 Her bridal party was made up of a group of childhood friends, and the ceremony was performed by her best friend's father. Later in the evening, Marko's younger sister (a professionally trained opera singer!) serenaded the couple and their guests. 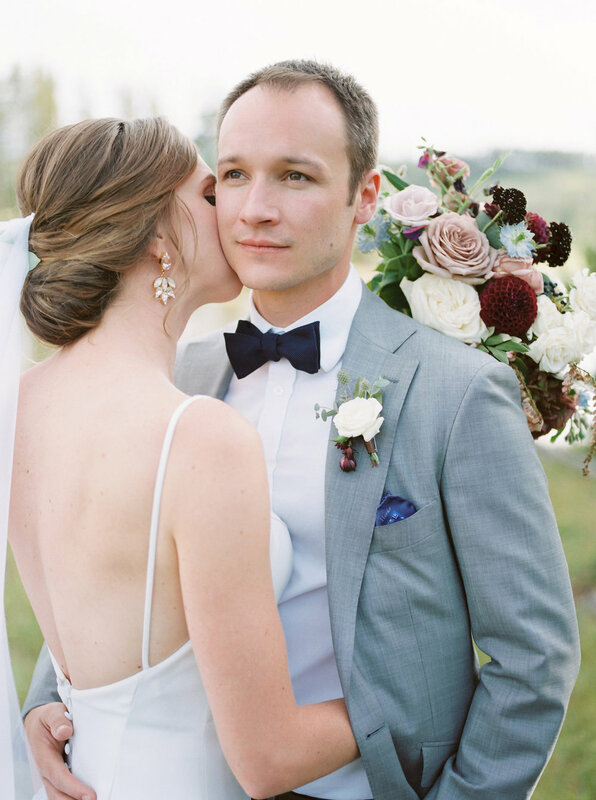 Kelsey and Marko's stunning mountain wedding was captured by one of our favorite Colorado photographers, Sara Lynn. 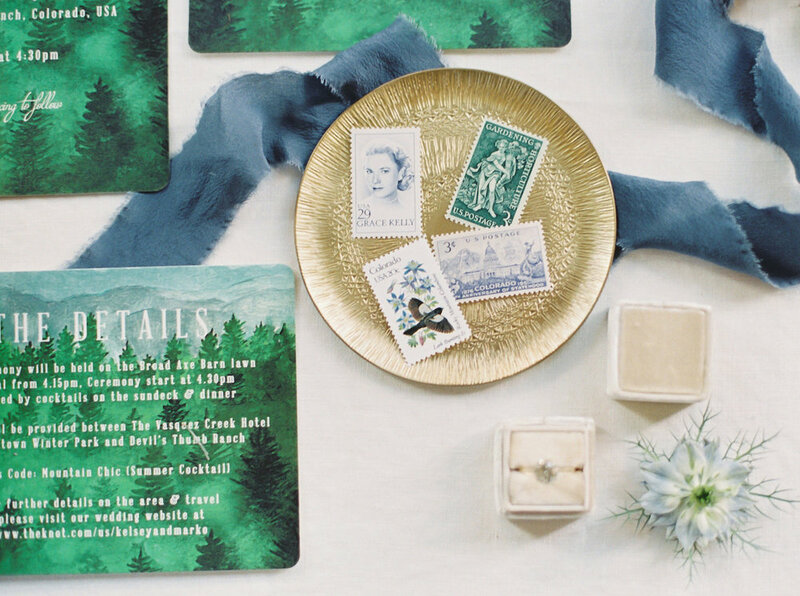 Read more about their celebration on Every Last Detail.